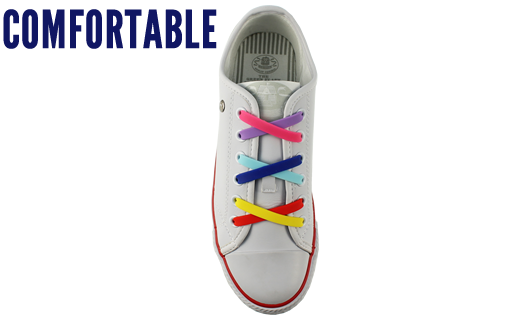 Bin your unsightly, time consuming laces and replace them with new Easy Laces creating a neat new look and turning your shoes into slip-ons with no fuss. 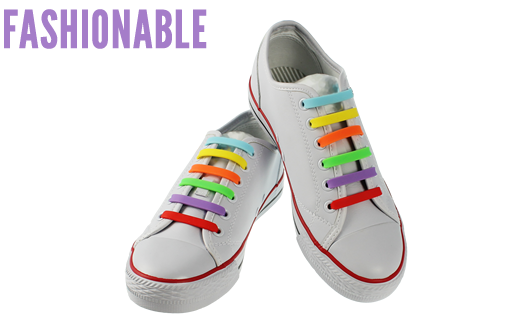 These 100% silicone laces are strong but also stretchy, firmly holding your shoes in place, yet allowing flexibility to slip them off and on without touching the laces at all. 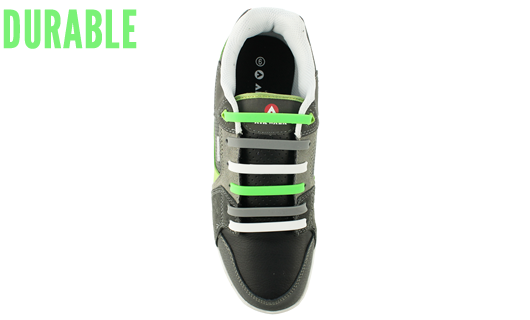 The patented Pull and Lock arrow head design of the laces ensures that they can be pulled through the eyelets easily and then are locked into place on almost all sizes of eyelets. 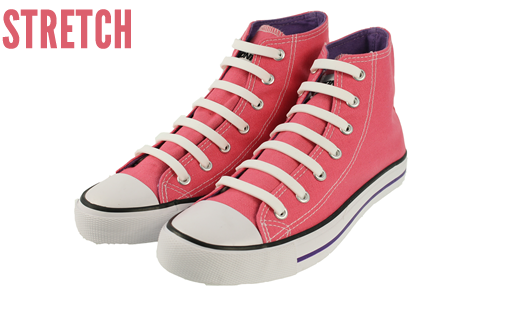 In each pack there are 20 laces in 10 different sizes to ensure that you achieve exactly the right tension and look that you need. There are twelve different colours, including the multi-coloured rainbow pack, from essential black and white to the vibrant yellows, oranges and purples enabling you to achieve the exact look that you require. 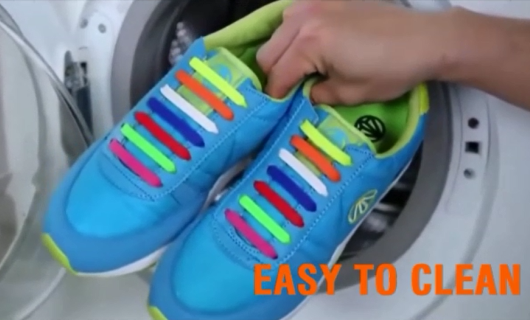 This great new concept is also perfect for smart shoes, again ridding you of unsightly laces and turning your smart, formal lace up shoes into slip ons. 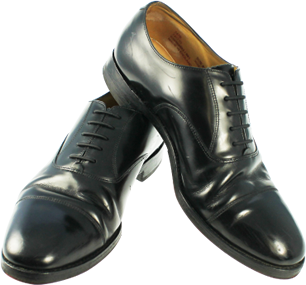 Designed in the same way but in a fine round silicone lace, these laces enhance the look of all smart formal shoes, whilst saving time on lace tying and saving that stress on your back!